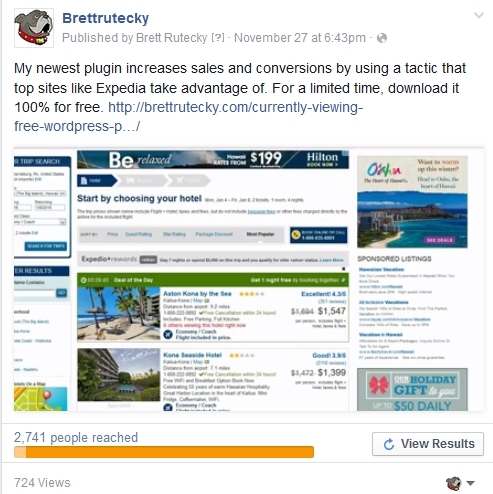 Brett RuteckyWhy Im changing the way I do Facebook ads. One of my favorite advertising platforms has always been Facebook. In fact the only platform I use consistently and I spend several thousand dollars a year on Facebook ads. Though there are many ways to run Facebook ads the one I use most often is retargeting. What I do is put a retargeting pixel on this blog so that anyone who visits gets added to my retargeting list. Then I make a post to my fan page (which I only have for advertising) and boost the post to my retargeting list. The idea being that people who see my ad will be more likely to click, since they visited my blog, so I know they are interested in my niche. The largest portion of my clicks from these retargeted / boosted posts are coming from Malaysia. Nearly 17% are coming from there. When you include Indonesia, Philippines, Thialand, Cambodia, Vietnam, and Pakistan, we are now accounting for over 54% of my post clicks. Now there is nothing wrong with people from these countries however these countries are not my target market and frankly are not the primary countries I’m trying to reach. Whats really strange here though is that these ads are retargeting ads. They are suppose to be getting shown to my retargeting list, which is made up of people who visit my audience. 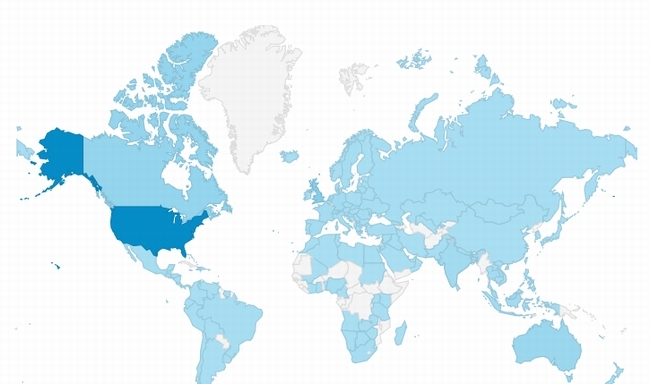 However the vast majority of my site visitors are not from any of these countries. According to Google Analytic over 47% of my site visitors are from the USA. When you include the rest of my primary target countries such as the United Kingdom, Canada, Australia, they combined account for over 66% of my site visitors. In fact Malaysia is reported as accounting for only about 2.6% of my site visitors. So there seems to be a paradox here. The vast majority of my site visitors come from my target countries. My Facebook ads are suppose to be getting shown to only my site visitors. But most of the results from my Facebook ads are from non targeted traffic which seems to make up a small percentage of my site visitors. This is not what is expected. Since most of my traffic is coming from the USA, I would expect most of my Facebook ads would be getting clicked from people in the USA. The opposite is happening though. 1) The Google Analytic reporting is wrong and most of my site traffic is really coming from Malaysia. This is unlikely but possible. 3) All my site traffic is getting shown my ads, but only people from Malaysia and other non target countries are clicking them This seems unlikely since many of my ads are freebie giveaways, bonuses etc. Also there is no reason why USA, UK, Australian people would disproportionately see my ads but not click them. 4) Facebook is showing my ad more to people in non targeted countries, knowing that people in these countries are more likely to click, in order to make my ad appear to be getting more clicks or to be able to inflate my ad cost. I’m not sure which, or if any of these are the cause of my ad trouble, however the critique in me tends to think that #4 is the most likely cause. One thing I know for sure though is that my boosted posts are no longer getting me the results that I want. They are not being clicked by my target audience and my ad dollars with them have been largely wasted lately. What I have been doing now is combining videos with ads. I have been posting video posts to my fan page. The video has a call to action in it and the text of the post has a link where I want people to go to (normally to this blog). Doing it this way I can specifically tell Facebook what countries I want to show my ad to and ensure that its only being seen by my target audience. The results have been quite good. With only a small ad spend I have been getting a lot of video views. In fact each video view (people who watch the video for at least 10 seconds) is only costing me about 2 cents. Also a strong percentage of the people who viewed my video ended up clicking the link in the post (about 30%). In this particular ad I got about 200 people to click my link for just under an $11 ad spend. This of course is going to vary depending on the quality of the video, and specifically the call to action in the video. Moving forward I think I will be using these kinds of targeted video ads a lot more and will most likely not be using my blog retargting list much if at all. The video ads seem to perform better actually and allow me to show my ad to the locations I want with a lot more effectiveness. The only downside is that, the way I was doing the boosted posts a like on the post would also like the article on my website and this way that does not happen. However likes are secondary, what I primarily want is to get my message to my target audience. Boosting posts to my site visitor retargeting list does not seem to be doing this effectively anymore. However video ads do appear to be much better at it and that is what I’m going to be focusing on moving forward. Does this mean retargeting is no longer viable? Not at all. Retargeting is something that works for a lot of business’s large and small and I’m not saying anyone should write off retargeting. What I will say is that for me, retargeting my site visitors does not seem to be getting the expected results. My ad seems to be getting shown to and clicked by only a small minority of my site visitors from a non target portion of my site traffic. For me, video ads are working better, at least at the moment, and I feel they are something worth exploring. The real moral of the story is, always watch your stats, and adjust accordingly. What was working well last month might not be the best option this month. The internet, marketing, and Facebook are all fast paced environments and you need to make sure your always doing the best thing you can, right now, to get the most bang for your buck. Your site is promoted on some PPC sites. Most visitors are targeted from there. Maybe some of your affiliates promote your stuff. When someone optsin and download the plugin, he sees the url of your site. so he gets to retargetinf group. If that where the case, my Google Analytic would reflect this, but it does not. Even given that some of my traffic is from non targeted countries the ratio of clicks on Facebook, vrs traffic sources to my site are very off balance. Are you using Socivids to insert the CTA buttons in the videos? Thanks very much for this advice. We are just getting into FB ads for our cheat sheet on building a blog and getting good results. However we had been building up a retargeting list at the same time with a view to using it shortly, so will really watch the traffic and visitor stats. Even with your retargeting list, you can still select what countries you want to target. You don’t have to run the ad to your retargeting list as is. You can still select interests, countries, demographics, pretty much all of the other things that you can do when you create and run an ad in any way. The retargeting list just helps to laser focus the ad. I dont believe you can do this when you are ‘boosting’ a post from a fan page, which is what I use to do. Ill double check though, thanks. Brett, don’t boost a post, instead create an ad for that post. Boosting a post is broad term. Hope this help! Well the point was that I was boosting to a targeted audience, my site visitors, and the results where not proportionate to my site traffic sources. So how are you targeting your audience with videos without using retargeting? I’ve never been a fan of boosting the post, I always like to choose my audience, interests..etc…as for retargeting, I really want to understand this stuff a lot better but as you said, the environment keeps changing…Just when you think you understood it all, they go and change it and then play catch up again with them…Now we have the newly introduced FaceBook Pixel combining the conversion pixel and the Custom Audience pixel into a single pixel, and finding good, accurate and up to date info on this topic is not always that easy..
Thats a possibility, but it does not seem likely, as there is little advantage to using a proxy and hiding who you are when visiting my blog. Brett, I’m indonesia and one of the advantage to use a proxy here is that site like Vimeo for example are banned …. and vimeo is used a lot by internet marketers to post their video. I got similar issue with GA and FB, google show traffic to my websites but FB audience was always too small to create, they said depends on cookie disabled that don’t let FB get vistors data. 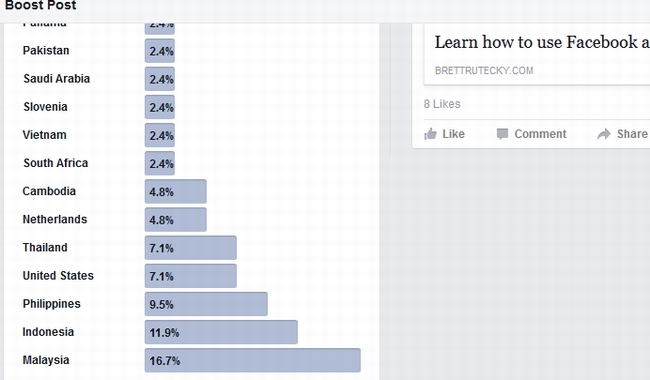 I think everyone will agree with me when I say that “Brett Rutecky” should release a Facebook Ads Training Course. I would be one of the first to buy it. Thanks. I dont think ‘bots’ are the cause of my issue. Thanks for the heads up with this problem, it seems Facebook are not doing what you are asking them to do, which to me is fishy and brings more questions than answers, great post. I’m busy talking to some of my offline clients about using Facebook ads to drive traffic so have lots to learn right now. The reason is your max bid, you should use retargeting list and geo targeted both. Then your min bid price will also increase, but you will get only visitors from the T1 countries you selected. If your max bid is low, your ad will hit mostly asian countries which have a low marketing profile, and your clicks will be low quality. As soon as I read #4…I internally heard a loud ‘ding’…!! process leads me to the ‘ding’…!! 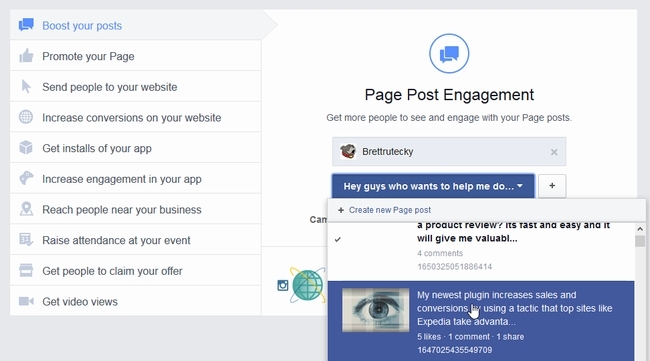 From what I understand Facebook is buying clicks to get boosted post results. They frown upon anyone else buying likes, etc, but in fact they do that themselves. Yours came from Malaysia, mine mostly came from Pakistan. I guess it’s just who is cheaper on the day. They obviously override the retargeting audience to get their numbers because if you don’t see results you aren’t going to pay. They just don’t expect someone like you to look into it. Thats kind of what I was thinking Stu .. Im a bit of a cynic sometimes though so I did not come out and say it because I did not want to be over judgmental. Hey Brett I had watched this video a couple of months ago at https://www.youtube.com/watch?v=oVfHeWTKjag and I think it may explain your issue. You can remove the link if you like. Basically it talks about how people from paid click farms actually click on other content for free so that their activity doesn’t look fraudulent. Its a real eye opener. I had heard reports like that as well. Honestly I did not believe it. (or perhaps I did not want to believe it). I let the link in because this is something worth watching for most people. I subscribe your post rss via inoreader. I read every post you publish. Many of my friend share your article on our secret FB group about Internet Marketing. You are very popular here. Maybe, Google Analytic just go wrong, and Facebook Pixel just right. We send you 11,9% traffic. Wow thanks for the post Brett. I have not been really using Facebook ads to much but I will be using them more frequently with video. I also bought a course from someone to better teach me how to use Facebook better. Also 11 bucks is cheap to reach that many targeted people yeah man I gotta step my game up. Oh and thanks for your last review I declare affiliates sell anything just to make a sell nowadays even if its not a quality product. I’m thinking that there are a lot of ‘digital nomads’ living in Indonesia, Thailand and related countries these days – those places have communal digital working centers and it has become very fashionable to be an IM dude and travel about. Wonder if this accounts for the stats from your re targeting? It’s just a thought.